Gardening is a favorite hobby of many people, but avid gardeners know that it can also get expensive. One way to lower the cost, and grow unique varieties, is to plant seeds that you harvest from existing plants. However, planting fresh seeds is not as simple as just sticking them in the ground. Once you harvest the seeds, you must take several steps to prepare them for planting. These steps increase the chance for germination and successful plant growth. Growing seeds is a cost effective way to garden. Place any seeds that are still inside the seed pods into a paper bag and fold the top down. Shake the bag vigorously to remove the seeds from the pod. Open the bag and pick out the seed pods and throw them away. Pour the seeds out onto a piece of newspaper. Fill a bowl with cold water and insert any seeds that have a wet membrane, such as tomato or pumpkin seeds. 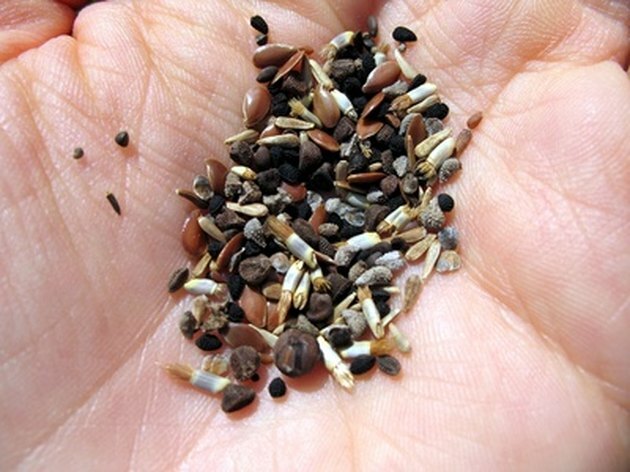 These types of seeds will feel slimy to the touch. Rub the surface of the seeds with your fingers to remove the membrane. Scoop the seeds out and lay them on a layer of newspapers. Insert a piece of medium-grit sandpaper into a glass jar and position it so that the rough side faces the inside of the jar and the paper lies against the sides. 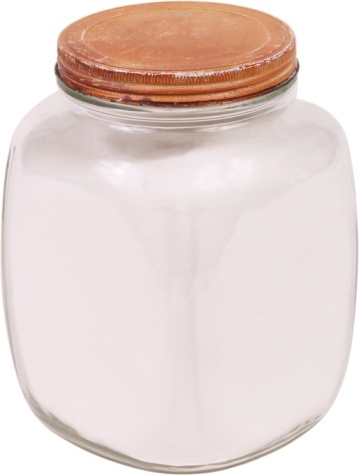 Place the seeds of a single variety inside the jar and place the lid on the jar. Shake the jar vigorously to scarify the seeds. Scarifying scratches the outer seed coat, making germination possible. Do not scarify tiny seeds, such as poppy. Fill a bowl with water and place any seeds that you are preparing to plant into the water so they are submerged. Allow the seeds to soak for two hours to absorb moisture, then scoop them out for immediately planting. Use separate bowls for each seed variety. Dip vegetable seeds into a disinfecting solution after the previous soak to kill any fungus and bacteria that may grow later and kill the plant. Fill a tub with 1 quart of bleach and 3 quarts of water. Place the seeds into the bleach solution and allow them to soak for one to two minutes. Remove the seeds and lay them on a newspaper until dry.